Who Does This Combo Amp Appeal to? 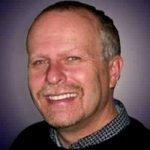 Conclusion – Is The Peavey 6505 Combo Right For Your Music? Peavey is a brand that people have come to recognize and rely on over the years. When you are looking for high-quality musical equipment, they are one of the companies that you know will offer you good products. Their amplifiers have been in high demand for many years. People love Peavey amps and see them as some of the most reliable options on the market. 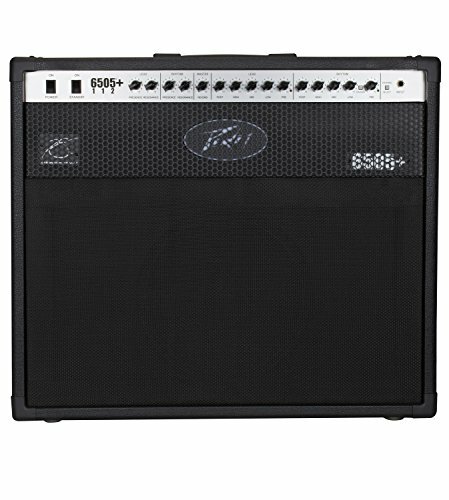 If you have been looking for a new guitar amp that will offer you a good number of features, then you might be interested in checking out the Peavey 6505. This is a combination amp that is going to provide you with an excellent metal sound. This is a high-gain amplifier that is used by some of the biggest metal acts in the world. To add to this, it has the best possible tone while using full gain. Anyone who wants a big sound for playing heavier types of music will appreciate this amplifier. Before going ahead with the purchase, you should take the time to dig into the details. It makes sense to go over everything so that you can know beyond the shadow of a doubt that this amp is for you. It’s a high-quality amp that is certainly going to please people who want a big sound but you have to make an informed decision when you’re spending big money on an amp. 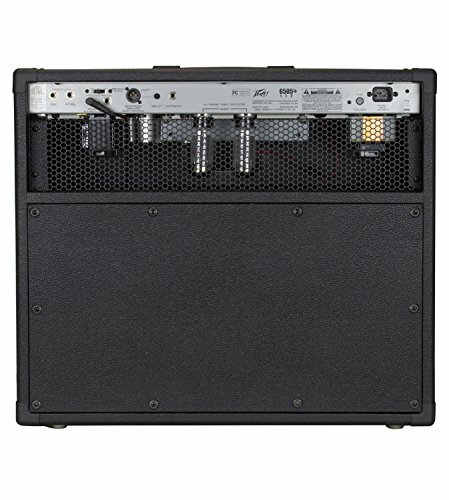 This Peavey 6505 Combo amplifier is advertised as a metal amp for a reason. This is capable of giving you that big distortion sound that you are looking for. It has the legendary metal tone that is associated with extreme rock guitar. It is going to be an amp that is perfect for anyone who is in a metal band, hard rock band, or any other type of musical act that veers towards playing heavy. Amps such as this work perfectly for live shows but they will also be very useful in the studio. Wherever it is that you decide to use this amplifier, it will work excellently. You will be able to get the powerful sound that you are desiring through to your audience. Big rock guitars sound amazing coming through an amplifier such as this. Due to the price, it is likely going to appeal to bands that are touring. Smaller bands who are starting out may not want to make the investment in a product such as this just yet. If you have the means, though, then this certainly is a great amp to own. It has all of the features that you want out of a rock or metal amp and it is easy to make use of all of them. This type of amp actually appeals to certain types of churches too. Some churches play Christian versions of rock or metal music to appeal to the youth. This is more common than many people realize so it wouldn’t be too unusual to see this amp in a church setting. Being able to use this amp to its full potential will always provide great sound so it will appeal to anyone who wants to use a metal tone. Before going through with the purchase, you should know that you will not be getting extras in the box. If you are thinking of buying a professional-grade metal combo amp such as this, then you likely have your own cables and other essentials. You will be getting the Peavey 6505 Combo amp and a user’s manual. There should be some information about the warranty as well so hang onto this literature and put it in a safe place before throwing the box away. 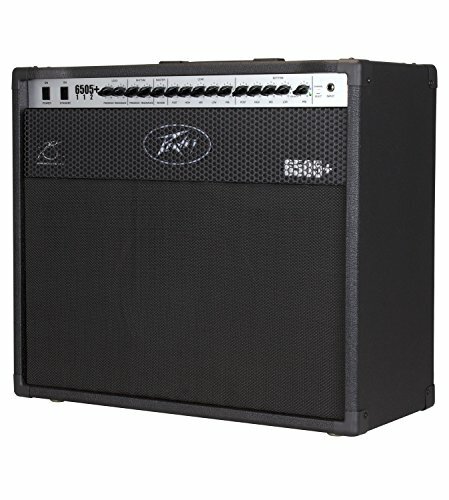 The features of the Peavey 6505 Combo amp are designed to blow you away. This amp can get loud and it will work for any band that is trying to create a big sound. This is a 60-watt combo amp that has an extensive list of features and two channels. It is set up in a 1×12 configuration for your convenience. This unit has five select 12AX7 preamp tubes as well as a pair of 6L6GC power-amp tubes. This provides the tonal foundation for the amp and ensures that the sound is everything that is meant to be. The circuitry of this amp is superb and it is easy to control and tweak the tone because of it. This versatile amp is capable of living up to your expectations and helping you to realize the vision that you have for your sound. Both the lead and rhythm channels on this unit feature independent three-band equalizers. You will also find pre/post gain controls as well as presence and resonance adjustment features. It allows you to tweak things to your liking in the simplest way possible. The rhythm channel even has a footswitchable crunch boost that you can make use of. Another important feature to be aware of is the Peavey MSDI microphone-simulated direct interface. This allows you to route the amp’s signal directly to a mixer or a recording device. It eliminates a lot of hassle and gives you a quick way to start mixing or recording your audio. Other features include three-spring reverb, effects loop, external speaker outputs, and a 12” loudspeaker inside of a sealed-back cabinet. This is a true fully featured amplifier that can make your metal or hard rock dreams a reality. One possible alternative is the Marshall MG102GFX. This is a 100-watt amp that should also work well for playing heavier music. The versatility of this unit is hard to deny and it is a very good amp overall. For those who are playing metal music, the Peavey is likely the better option. Either way, you’ll be getting a high-quality amp that will sound great in all arenas. Both amps are perfect for practicing, recording, and performing so keep it in mind. There is a reason why the Peavey 6505 Combo amp is so sought after. This amp is truly impressive and many of the most famous metal acts make use of these amps on tour. It is a popular style of an amp that will work well for any band that plays heavy music. The price is going to make it appeal more to professionals than amateurs but it is certainly a worthwhile purchase for anyone who is serious about his or her music. This amplifier is excellent overall and has a good reputation. You cannot go wrong with this offering from Peavey if you have the money to invest. There are some less expensive options that can work for you if this one is not quite in your budget range. Regardless, this amp earns a high recommendation for people who want to play heavier styles of music.